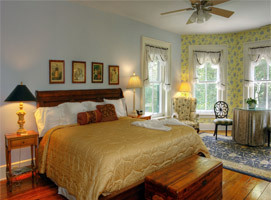 Rockwood Manor is conveniently located on 68 country acres near Blacksburg and Radford, VA. Our inn offers superb lodging for visitors and families with an ambiance not found in hotels. The perfect gathering place in the Blue Ridge of Virginia and a halfway point for travelers to Asheville, Atlanta, Nashville, and points north. Nearby New River Valley Airport allows for private plane access and a supply of rental cars, or we can pick you up. Roanoke Regional Airport and all Roanoke has to offer is only 45 minutes away as is Floyd and the Blue Ridge Parkway. Major road I-81 (2 miles away) crosses I-77 (20 minutes) west in Wytheville. Many of North Carolina’s main cities are within a 2-hour drive. A short hop up to Virginia’s Blue Ridge from Raleigh, Durham, Winston Salem and Charlotte or a jaunt down to the Vineyards of the Yadkin Valley Area. Let our home become your home base while you explore the amazing surrounding area. It’s time to try a better way to stay. 5189 Rockwood Rd, Dublin VA 24084. Our Address is often not recognized by GPS. Our coordinates are 37.11321735800375, -80.70223778486246. On the west side off of Cleburne Blvd Rt 100 N between State Rd 373 on the south and 636 Black Hollow on north. Take this road ~2.4 miles, going past the New River Community College on your left. Take this road 4/10 mile, going past the New River Community College on your left. You will pass NRV Airport on left and then NRV Fairgrounds on right. Just past fairgrounds you will pass Black Hollow Rd and a Church on right.